Berliner horse friends watch out, for elitist glamour riders in cord jackets and Ralph Lauren pullovers up to girls with disheveled hair in Bullerbü look, can find a lot of riding and riding stables in Berlin. 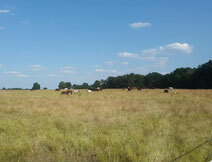 The Berliners are placing their horses more and more in Brandenburg and accept long travel times to move their horses. So here you will find my recommendations for riding stables in and by Berlin. Paradise on Earth is being on the back of a horse,” wrote Friedrich von Bodenstedt back in the 19th century. Anyone who would like to experience this paradise when they are young has the opportunity to do so at the Pferdehof Falkenberg. Pony rides for two year olds are offered here. 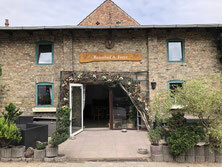 But this stables on the outskirts of Berlin also offers a special over 30s range and offers great programmes for young and old with 30 km of bridleways in the surrounding area. Heidehof is located about an hour and a half's drive from Berlin and Potsdam in the middle of the Hoher Fläming Nature Park. The farm offers children and adults the opportunity for a relaxing and eventful stay in an idyllic and quiet location. If you want to enjoy horseback rides in the hilly landscape or simply have fun with horses, you will certainly get your money's worth here. If the weather is nice you can cool off in the pool. On the spacious riding facility at the Schlossgut in the Berlin outback (Havelland) you will find a place of peace and relaxation. Here you can get rid of the stress of everyday life in Berlin. Whether big or small, riders or non-riders, the riding school has a versatile offer: dressage, jumping lessons with Antje Krabbe (trained up to the heavy class), polo lessons and horsemanship lessons. The estate also offers riding arenas, roundpen, horse walker, training track, directly adjacent riding area and a huge polo court. If you drive from the Trappenfelder Straße junction in the direction of Krummensee, take the Am Walde road and land directly at the "Am Walde" equestrian farm. This riding stable is not only beautiful to look at, but also offers several paddocks, stables and beautiful riding opportunities. 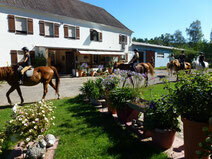 Here - just outside Berlin - you can take riding lessons and take a break from urban life. From the Shetland pony to the big horse, the herd at the Waldkante equestrian farm has it all. Only 15 km east of Berlin you will find this idyllically situated riding school. All horses are kept in the open stable in the herd. Every day you can take riding lessons in fixed groups and lunge lessons. Whether you can ride or not, everyone is welcome at the Polo Club Berlin Brandenburg. The riding club organizes tournaments every year for beginners and advanced riders, but also offers individual and group lessons according to your needs and the abilities of each individual polo student. The Galgenberghof Müncheberg was built almost 20 years ago by a vet. Dust, harmful gases and behavioural disorders are taboo at this riding school. Due to the open construction of the stables, the horses always have fresh air and light. There are also riding lessons, but only outside of the school holidays, as all school horses are used to capacity due to the holiday courses for children. The riding school can also be reached without a car, from Lichtenberg by RB26 (35 minutes). 25 kilometres from Berlin, an idyllic seclusion awaits you here. Via the country road, through the forest, the Goldnebelhof opens up in a depression. Here horses and ponies are kept on the paddock. In the riding lessons in the big hall beginners can learn to ride patiently on the lunge, advanced dressage and jumping. After riding you can end the day with a well-deserved drink by the fireplace in her knight's room. May I introduce Nökkvi, Pétur, Darma, Hugsun and Skjöldur – to name but a few – are the Icelandic horses of the Icelandic Horse Centre Berlin. 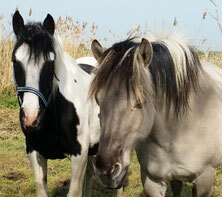 Due to their size and friendly nature, they can be ridden carefree by children and young people. Thanks to their strong physique even of adults. A horse the rider can rely on. Only three stops away from the Ostkreuz, surrounded by the Wuhlheide, the riding school is located in the middle of the city, on the grounds of the World Championship of Icelandic Horses. The Icelandic Horse Centre Berlin offers riding lessons for young and old, therapy lessons, riding, horses for sale and pension. With the Freye family you are in good hands, whether dressage and jumping training by experienced trainers, the child-friendly riding school for beginners and advanced riders offers ideal training possibilities for horse and rider with indoor riding arena, illuminated outdoor courts, jumping area, gallop course, covered horse exerciser as well as beautiful riding possibilities. Situated at the green end of Berlin, you can find the happiest horses and ponies in open stables at the Falkenberg children's pony farm. For more than eight years Katrin has attached great importance to child care on the pony and supports beginners, advanced riders and newcomers in their free time in the saddle. "11 schöne Reiterhöfe in und um Berlin"